DC Comics has announced the first wave of titles that will be scripted by best-selling writer Brian Michael Bendis. Bendis’ first story, a backup story for Action Comics #1000 was announced a few weeks ago (see “Superman Dons His Red Trunks for 'Action Comics' #1000”). Now DC has revealed the story will lead into a six-issue weekly miniseries, Man of Steel, launching on May 30. Art will be drawn by Ivan Reis, Evan “Doc” Shaner, Ryan Sook, Kevin Maguire, Adam Hughes, and Jason Fabok, among others. The series will feature six interconnected covers drawn by Ivan Reis and Joe Prado. The story will reorient Superman’s origin story and introduce a new villain. A prelude issue by Bendis and Jose Luis Garcia-Lopez will be released on May 2 as part of the DC Nation #0 preview sampler. Bendis is just getting started with the Last Son of Krypton. 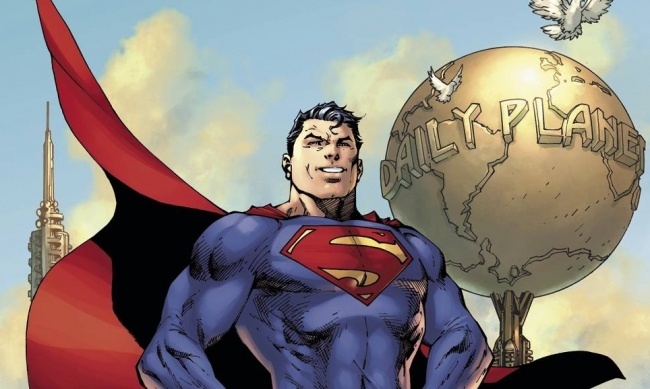 In July, he will be writing two Superman-themed titles. Superman #1 will pick up where the Man of Steel miniseries ends, and deal more deeply with the consequences of that story. Art will be provided by Ivan Reis. The title launches on July 11. 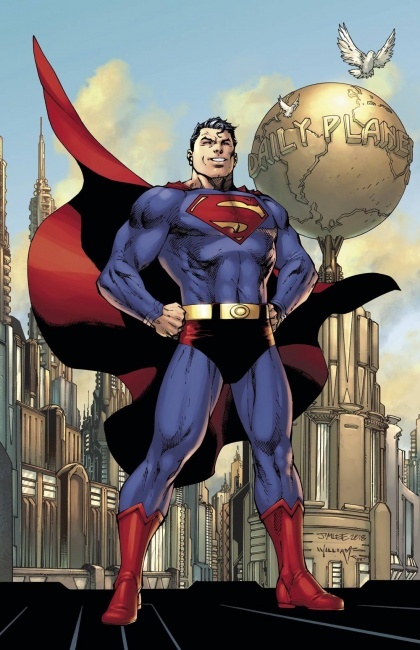 Then in Action Comics #1001, Bendis will take over the narrative, which will include more character-focused stories (including Clark Kent’s role at the Daily Planet) and introduce new characters. Art will be provided by Pat Gleason. The issue releases on July 25. Bendis’ Jinxsworld, home to titles including Jinx, Powers, Torso, A.K.A. Goldfish and Scarlet, will have a new home at DC. In the spring, titles including Brilliant, Fire, Fortune & Glory and Total Sellout will be released digitally. New stories for Powers, Scarlet, and The United States of Murder, Inc. will be added to the universe later this year. DC also announced a new custom imprint, which will be curated by Bendis. It is set to feature Bendis’ favorite characters from the DC Universe, put in unique and unusual situations, including interactions with brand new characters created just for this imprint. See more teaser art in the gallery below.